Bridge United has yet to be beaten in this competition, having won 0 out of its last 1 games. 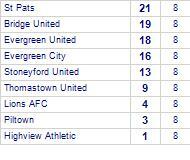 Piltown's last fixture played was a poor 4-1 loss away against Evergreen City. 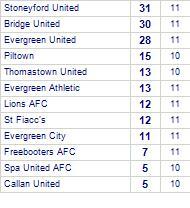 Bridge United has yet to be beaten in this competition, having won every game. Bridge United beat Freebooters AFC.